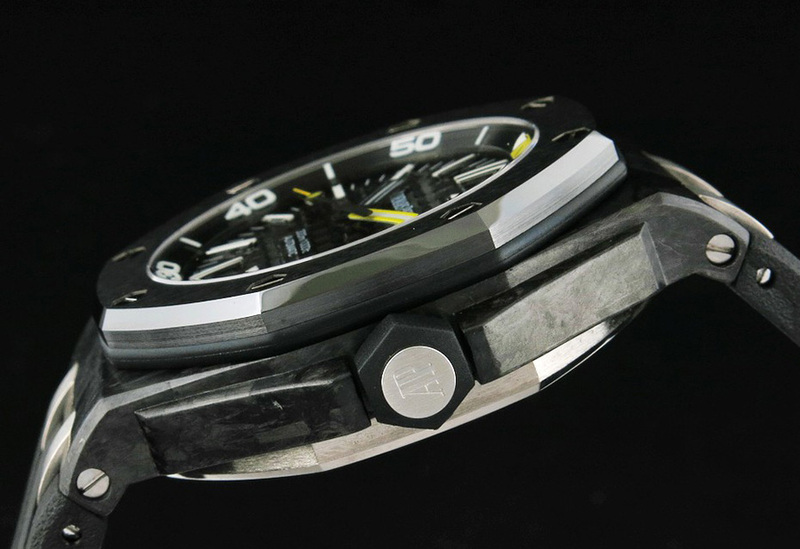 I am very fortunate to borrow such a great watch from V6 factory and give it a review here. 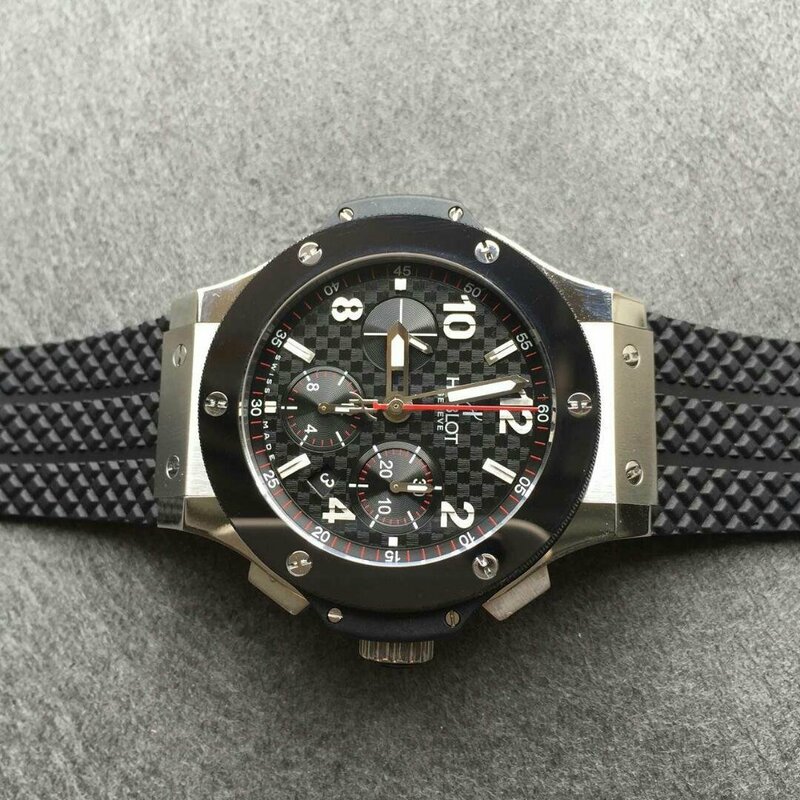 This replica is the latest art work from V6 factory, it is also the most attractive one at the beginning of 2016 year. 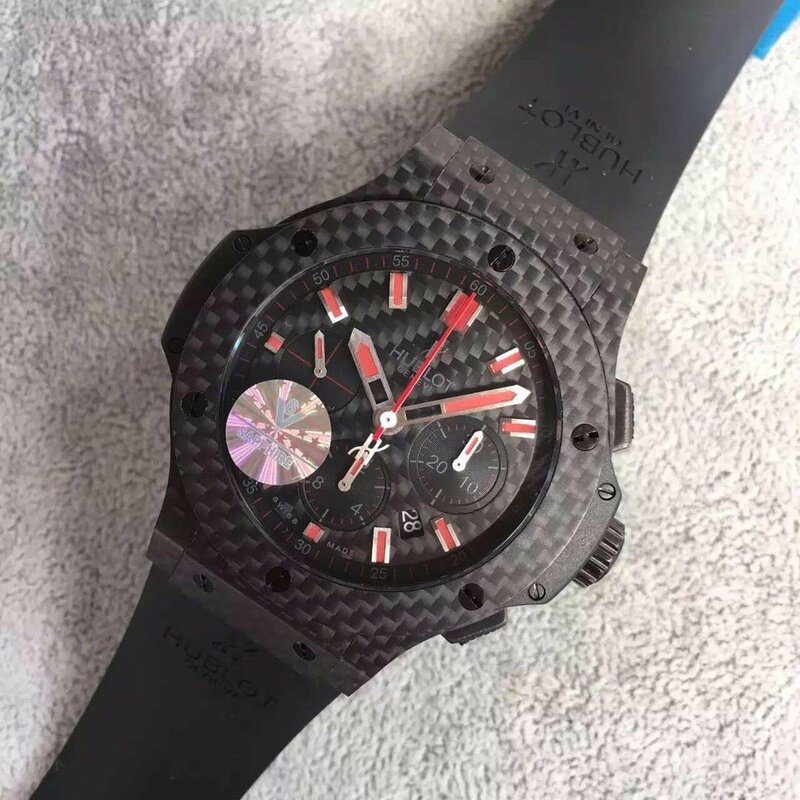 With more and more AP replicas which J12 published, other factories such as ZF and V6 also made their efforts to follow up, now, I am very pleased to introduce a completely new face to you guys, it is a replica Linde Werdelin Spidolite II. 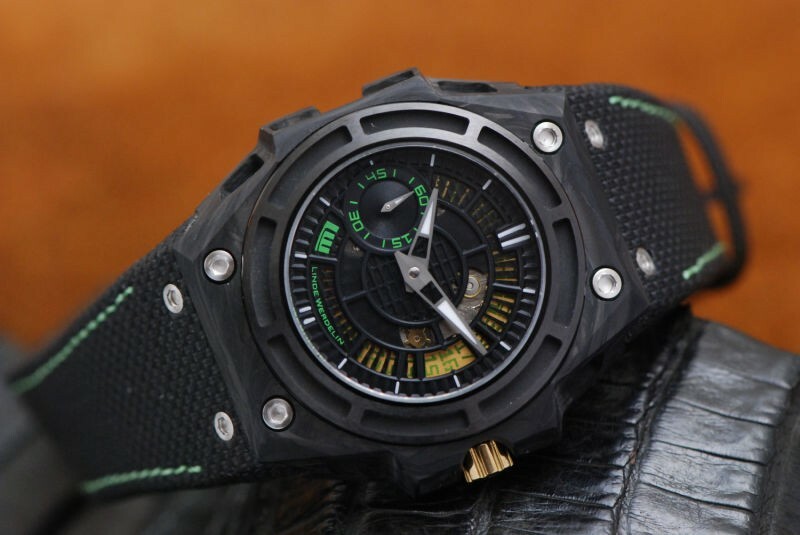 If you guys do not know much about this brand, I suggest you google it and I think it has a great potential because Linde Werdelin has integrated sports advantages of all Swiss watch brands, and it also features the uniqueness of its own. 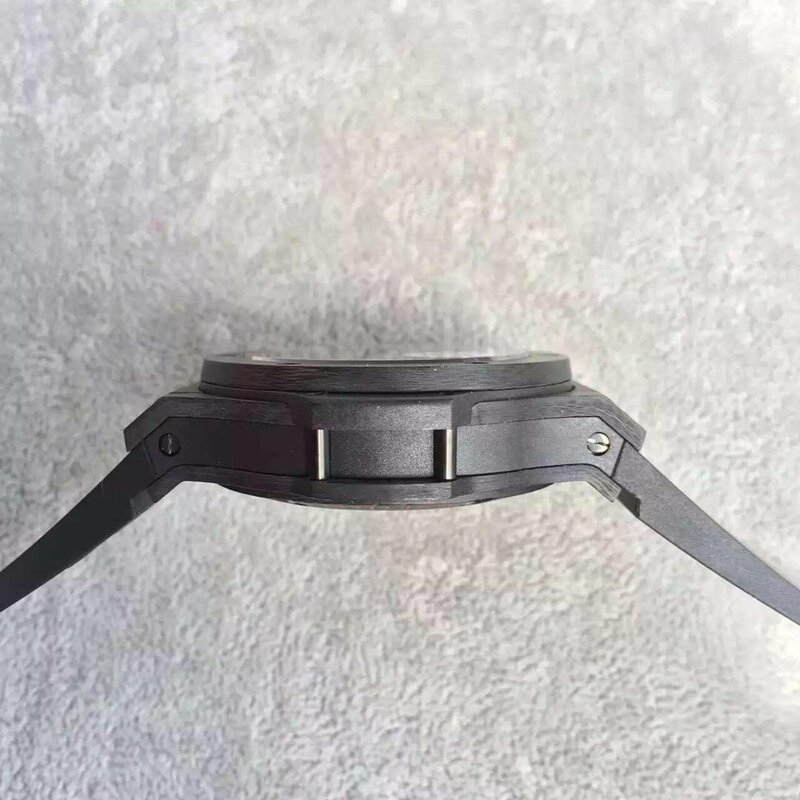 Here let’s see more details about this new replica. 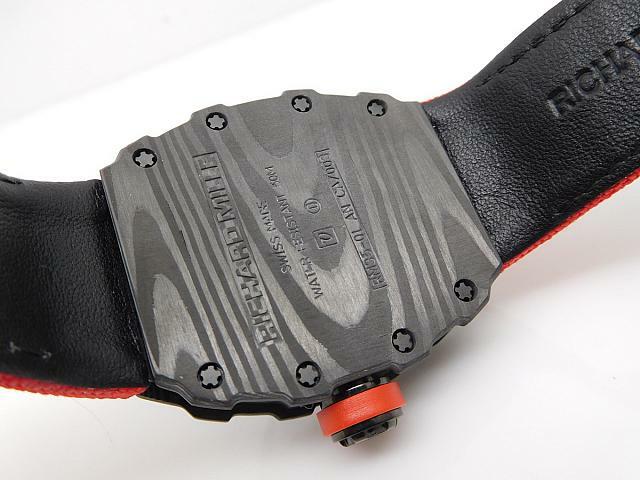 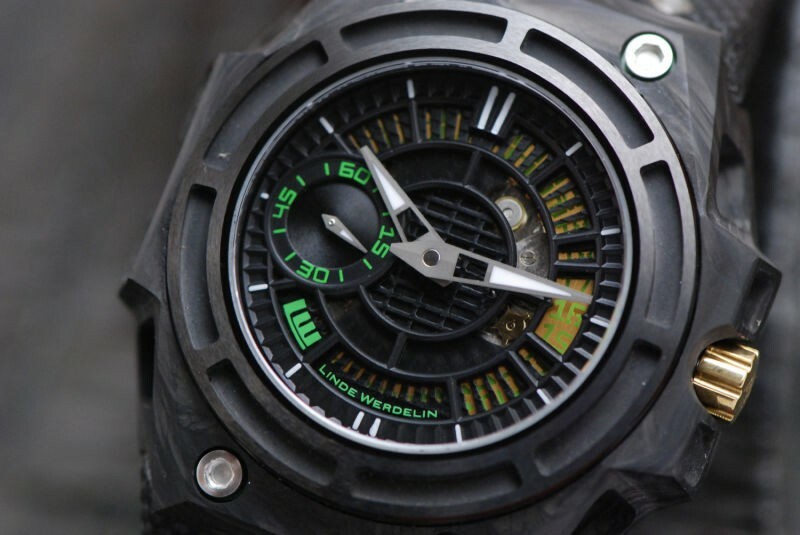 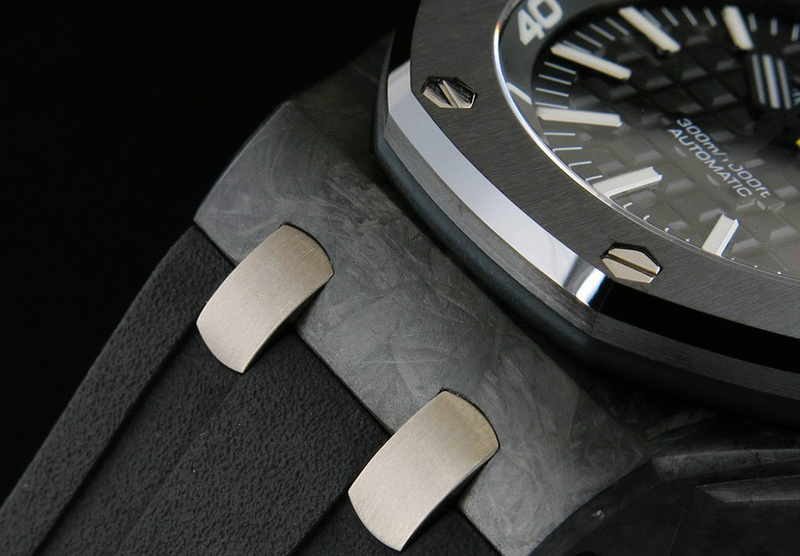 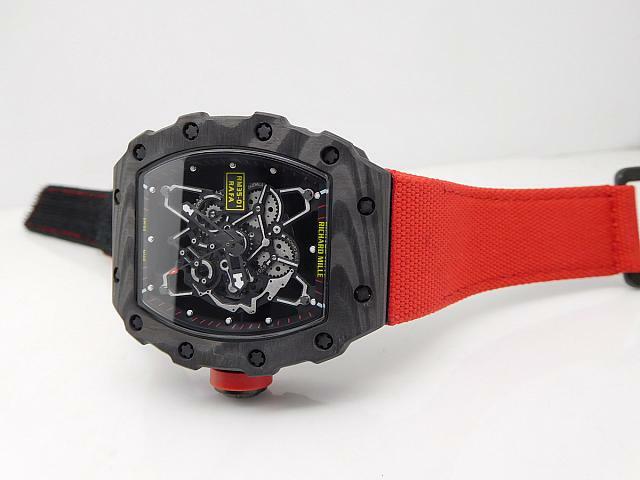 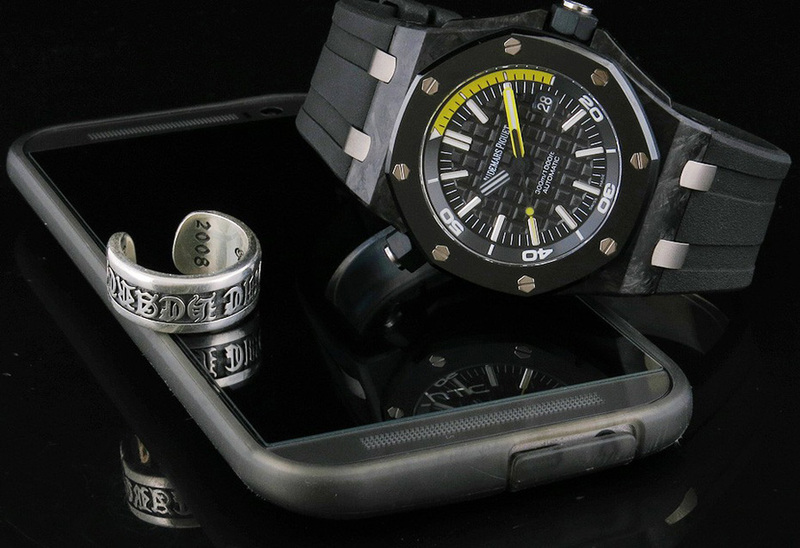 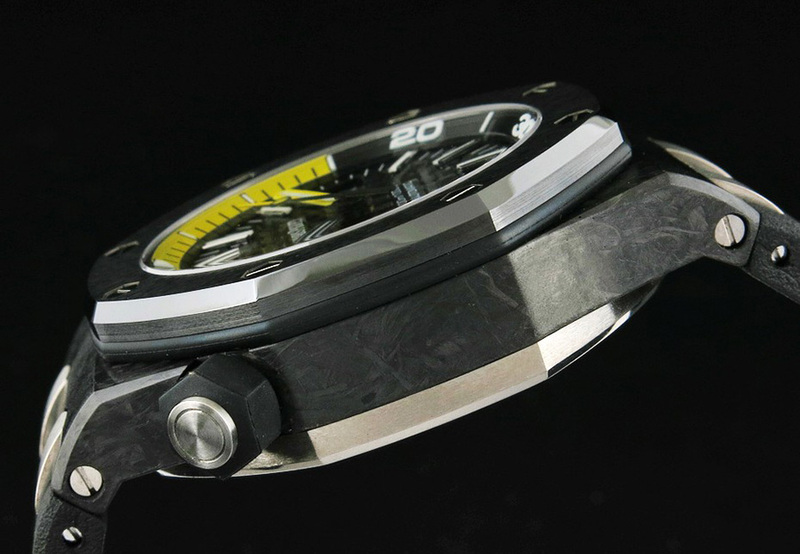 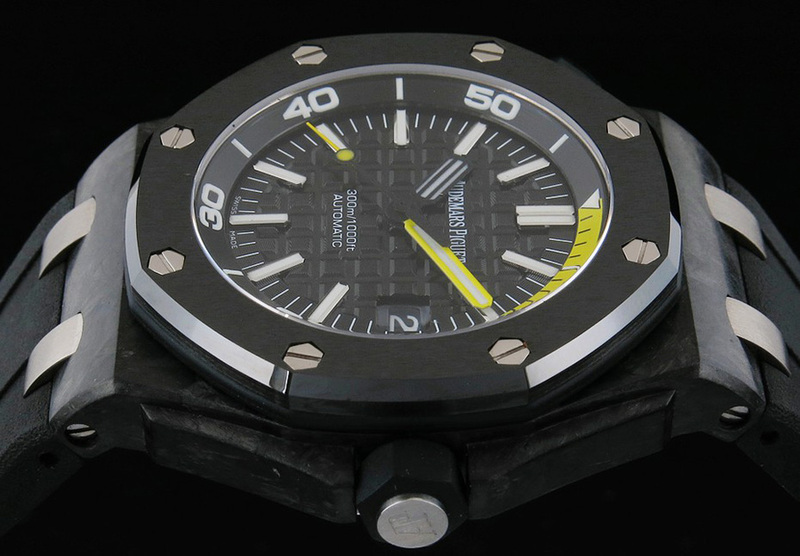 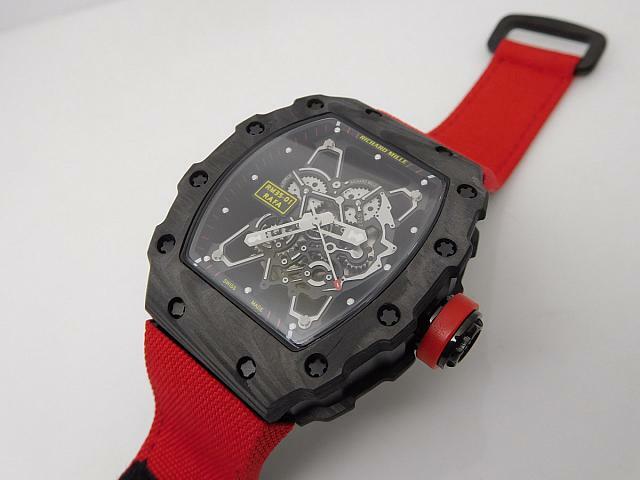 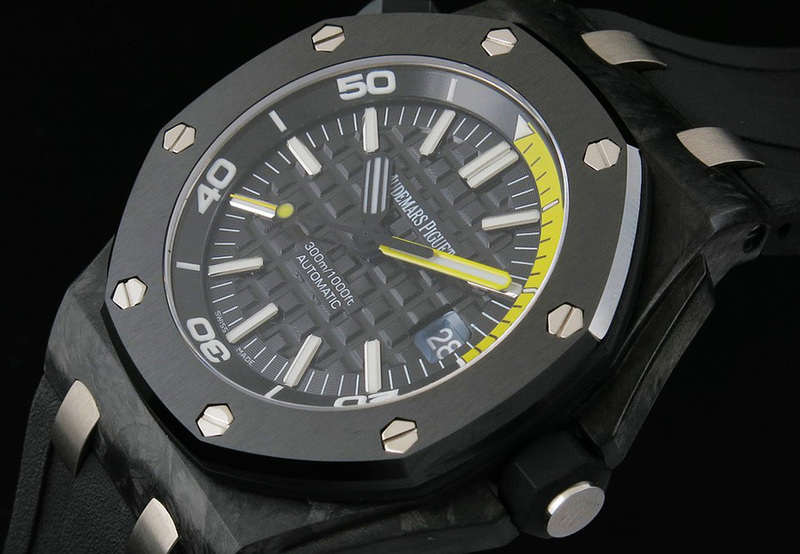 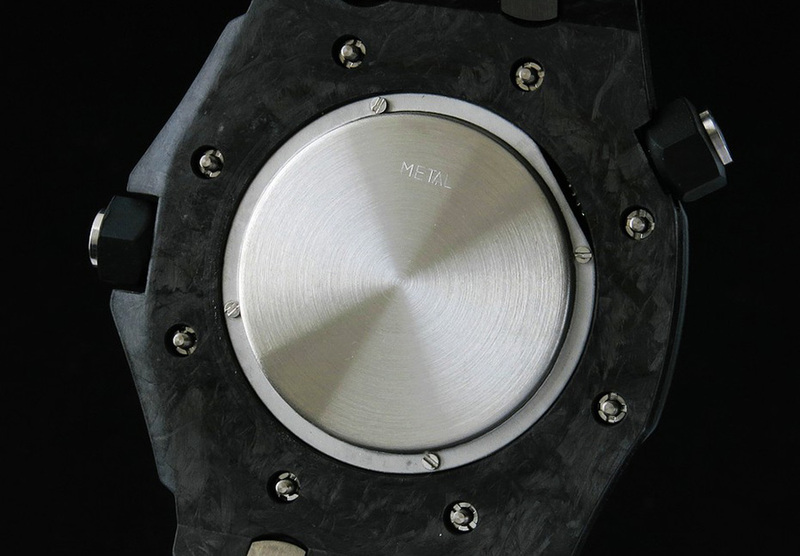 First, Linde Werdelin has a completely different case design from other watches. 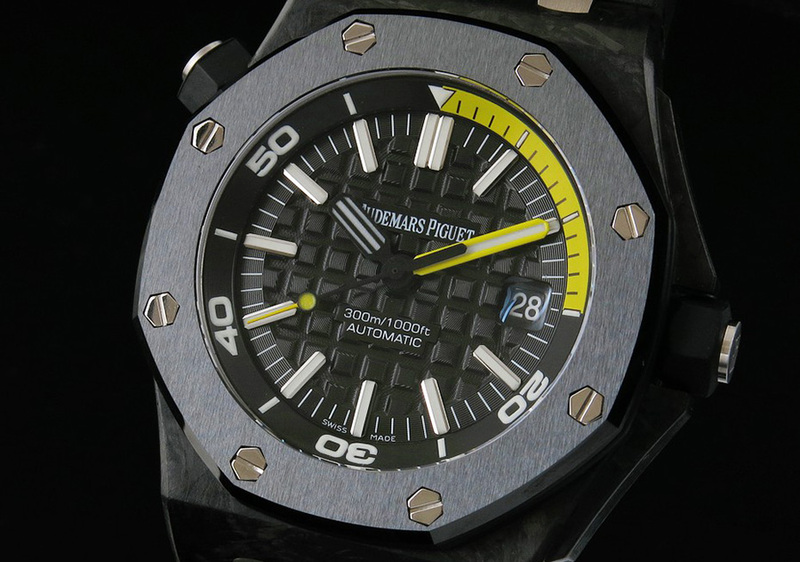 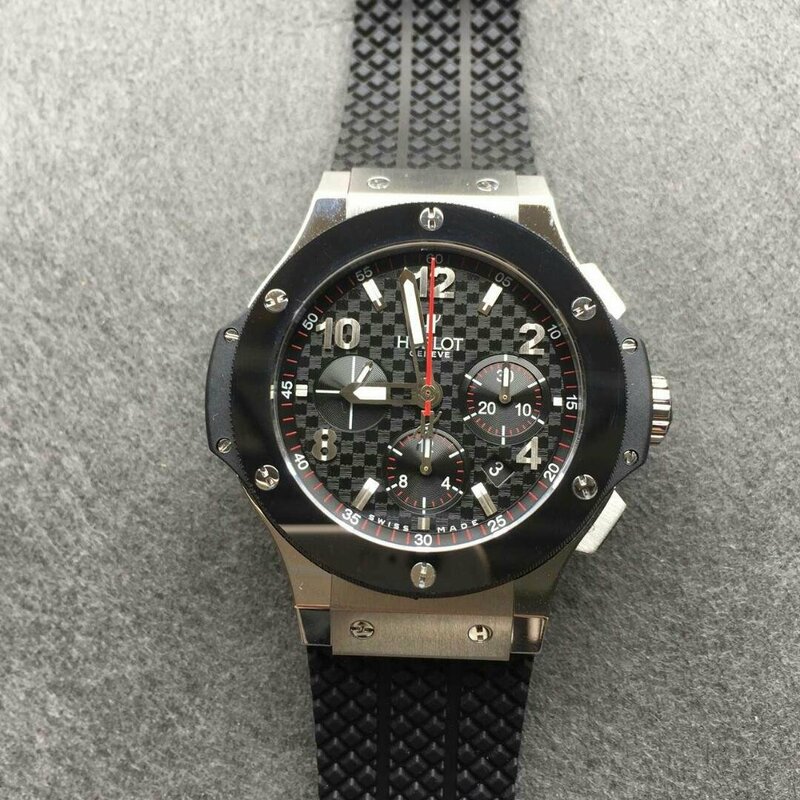 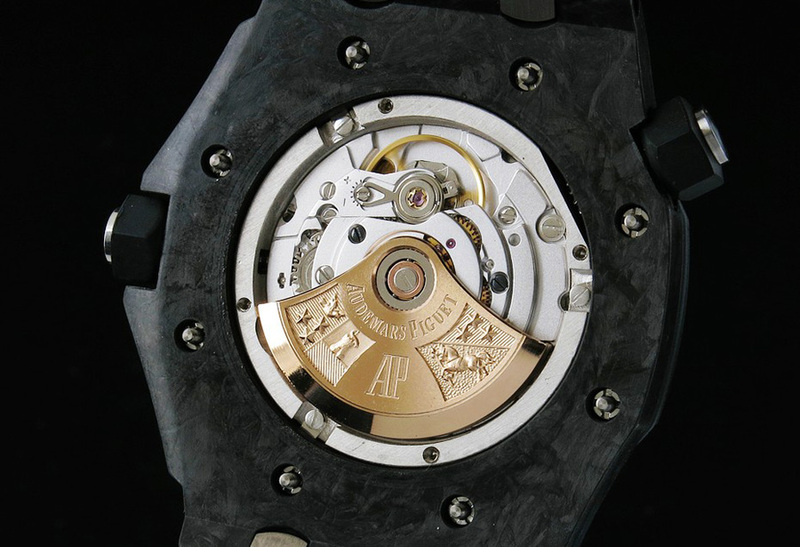 Like this replica, its case has some Audemars Piguet style, the only difference I think is the number of screws on the case, there are four steel screws on Linde Werdelin while eight screws on Audemars Piguet. 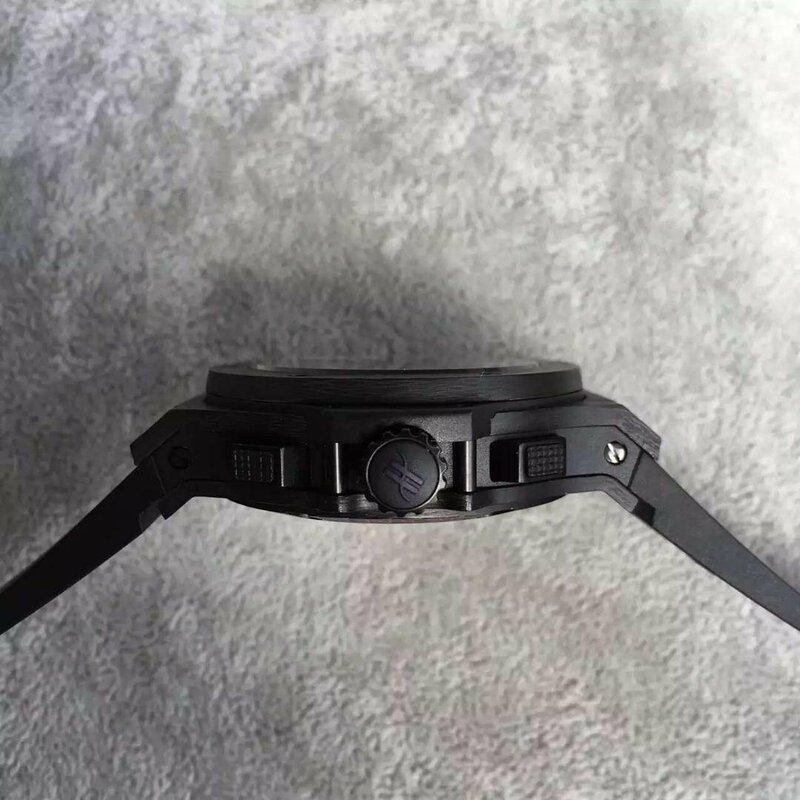 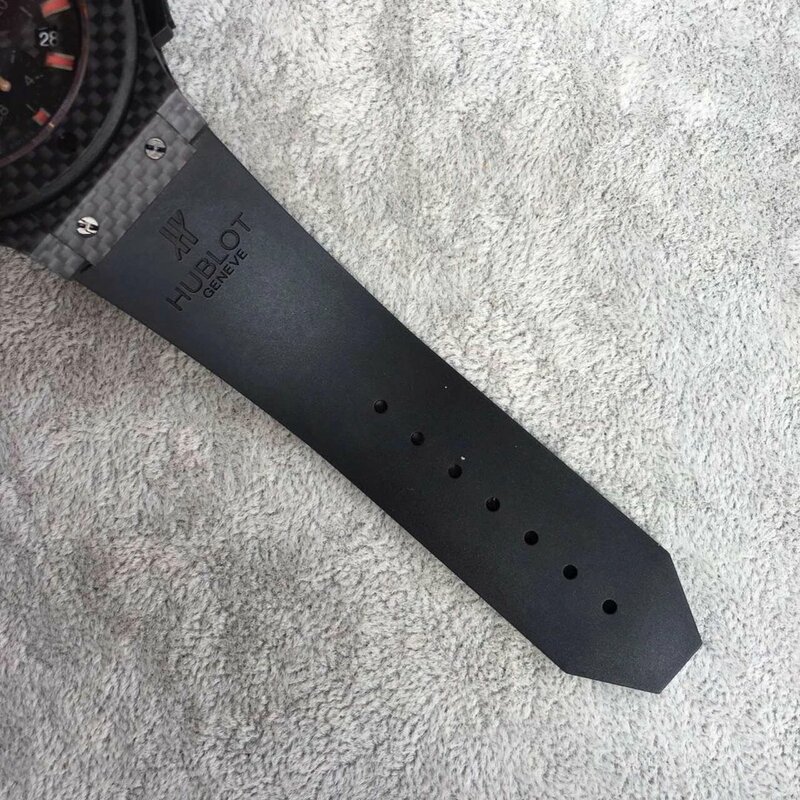 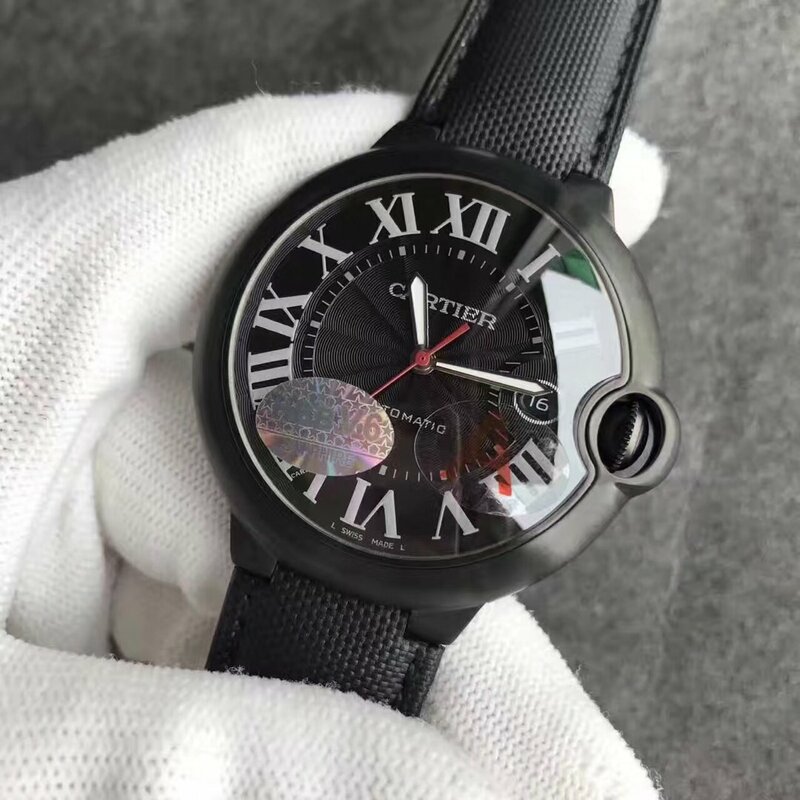 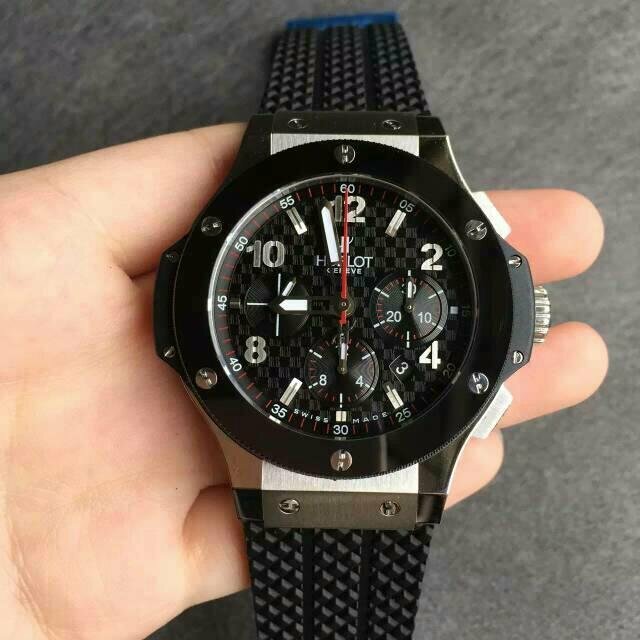 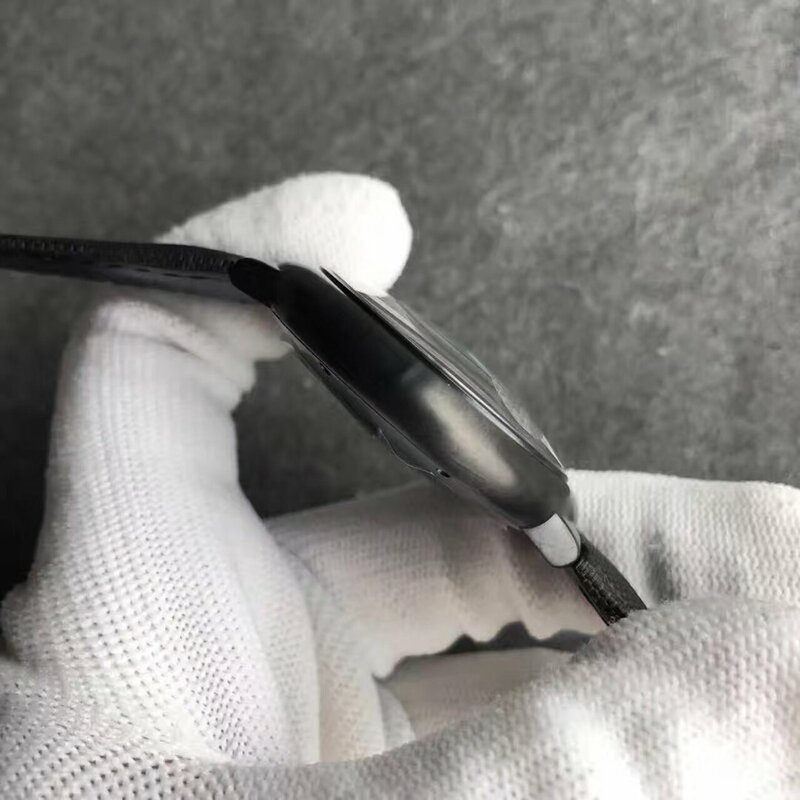 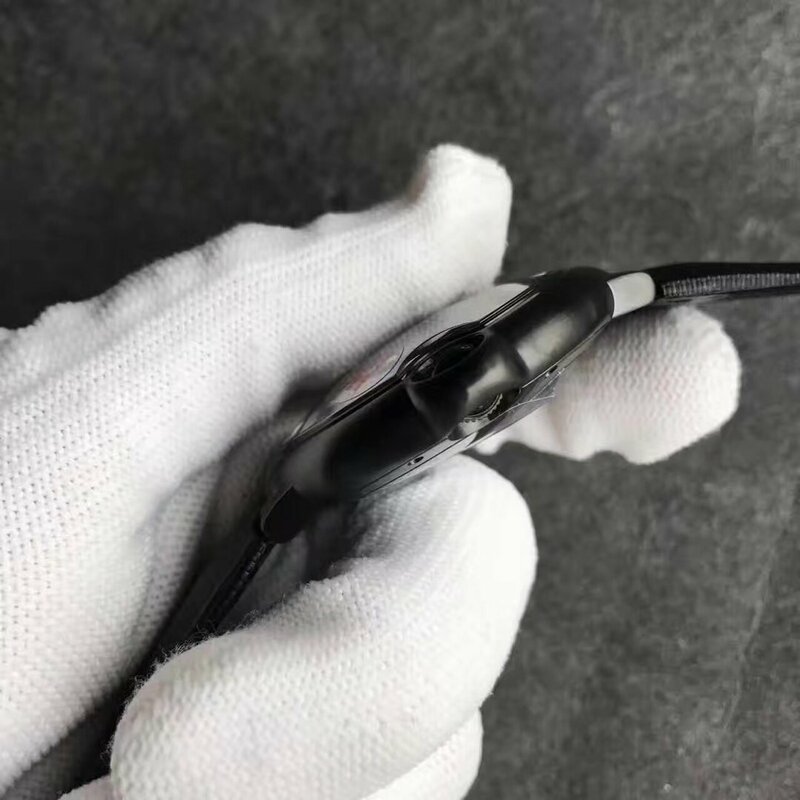 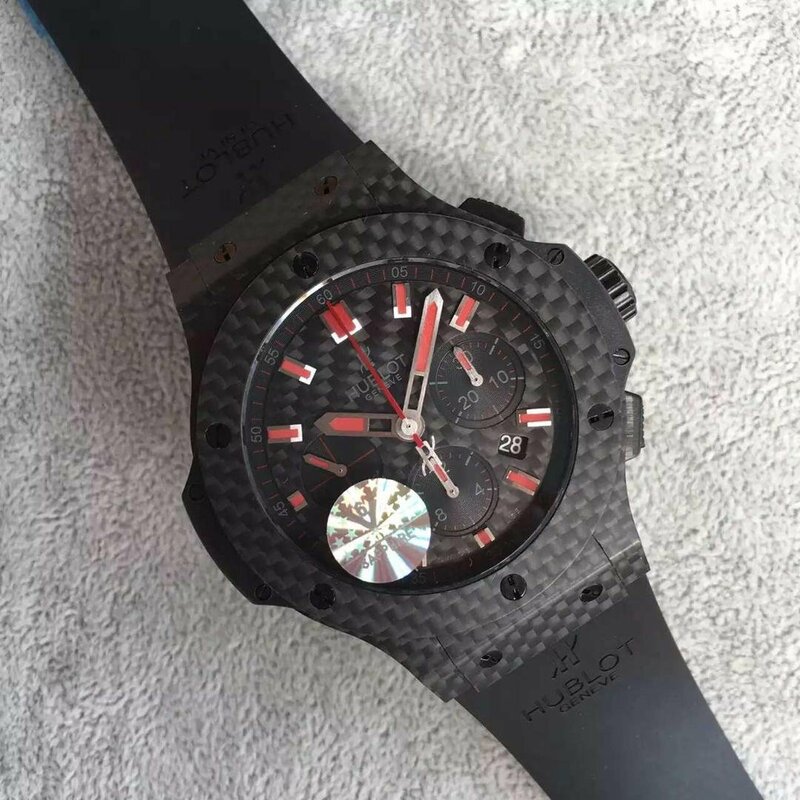 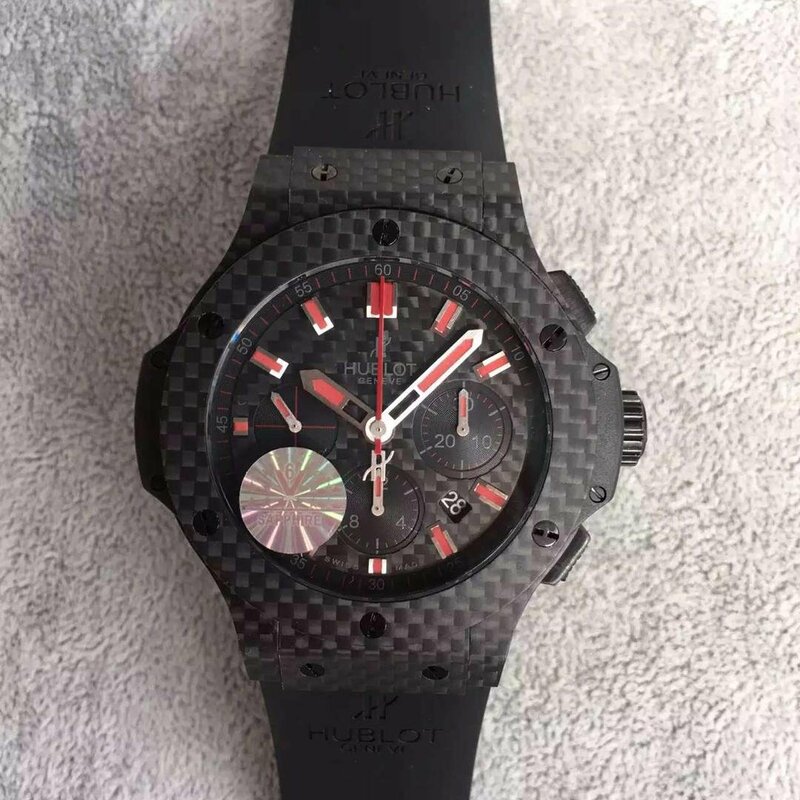 The replica case is made of genuine forged carbon, the four screws seem to be very big and also make the whole watch look stronger. 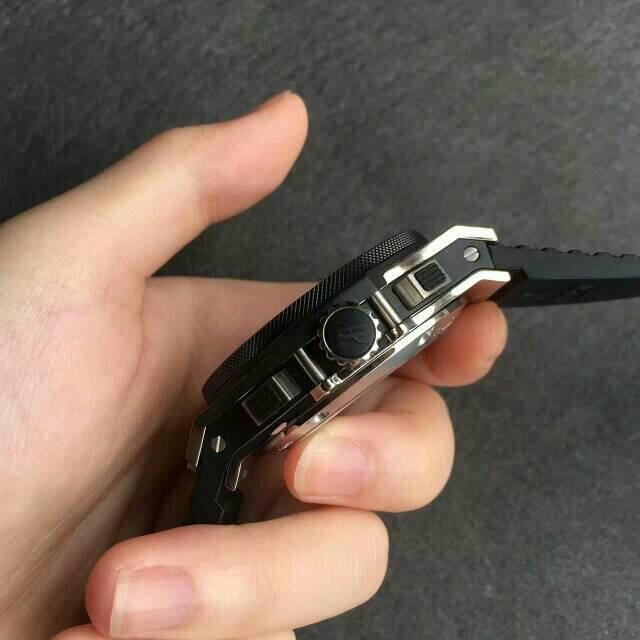 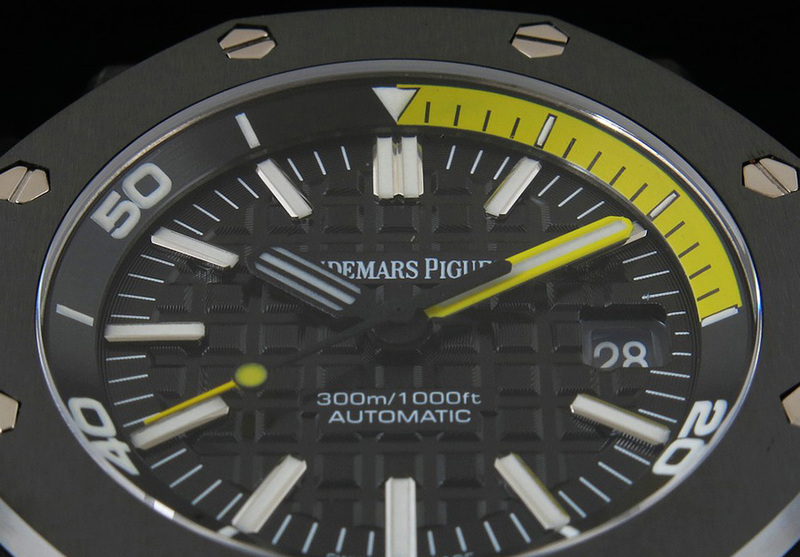 The bezel is skeletonized ceramic in black color. 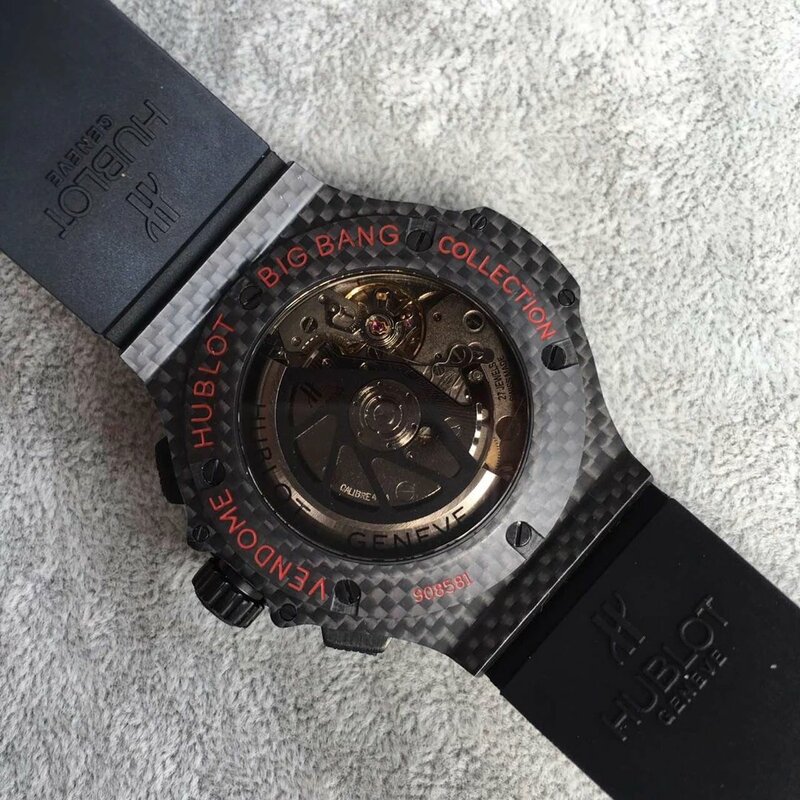 The golden crown inside the case has a technical spider engraving, each side of the case has four holes, you can clearly see Linde Werdelin lettering and other information. 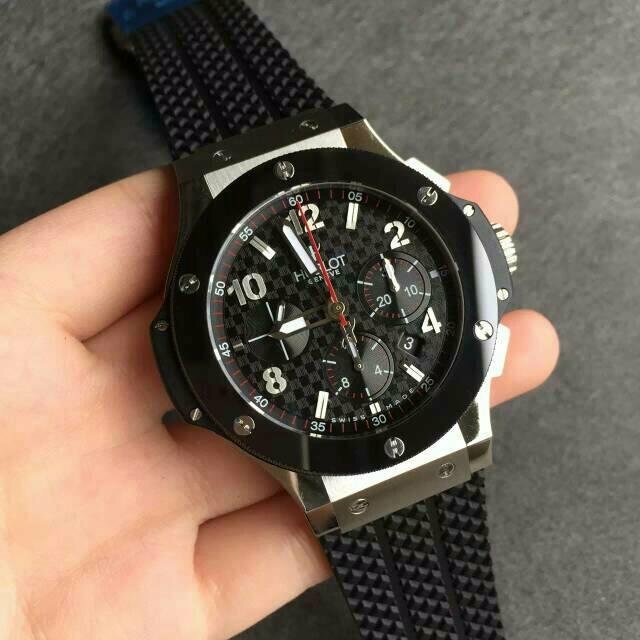 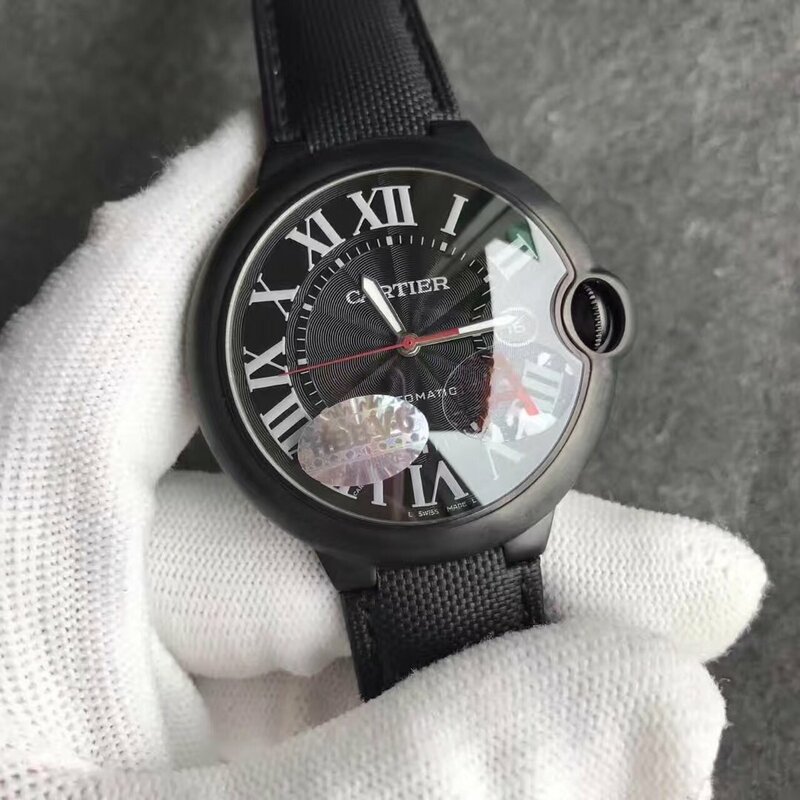 By the way, the replica watch is in the size of 44mm*46mm*15mm. 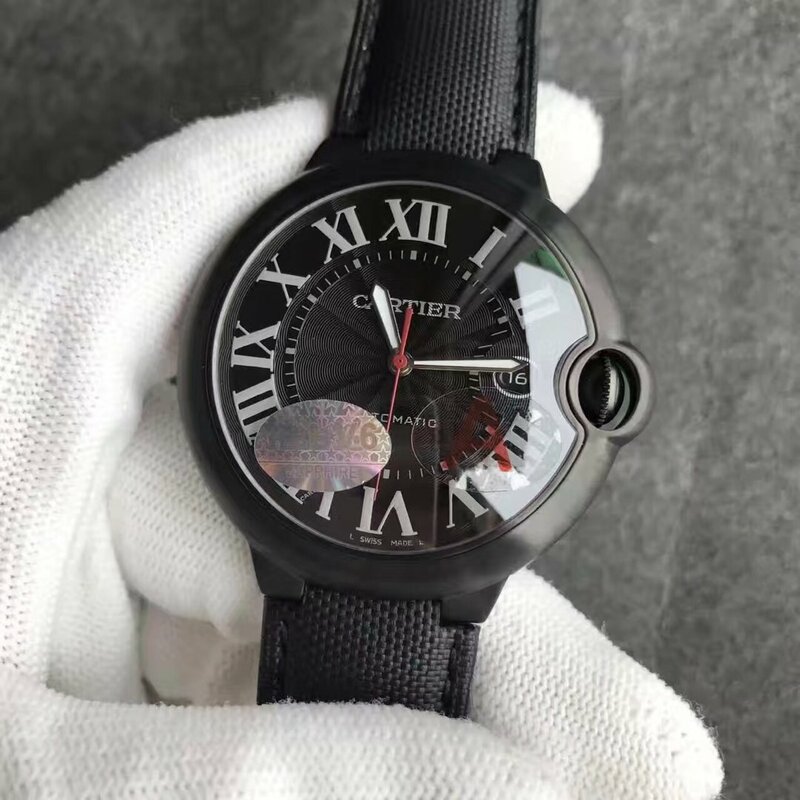 The dial is also skeleton. 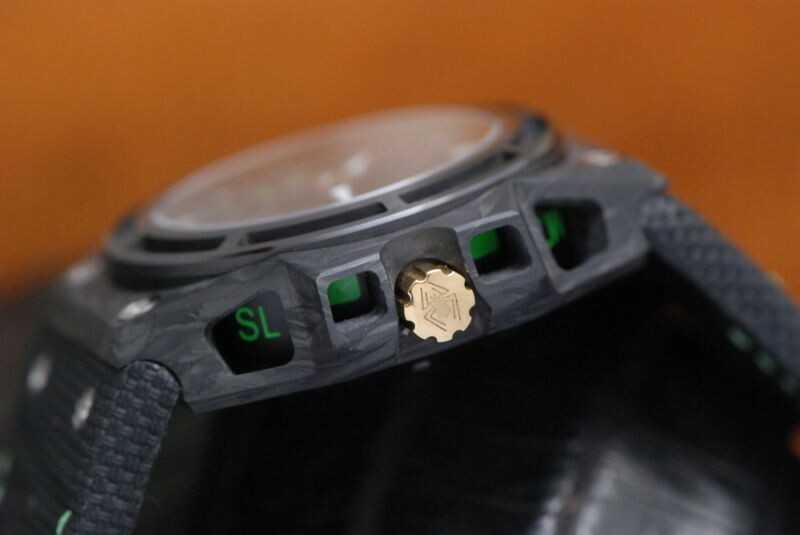 You can see green LINDE WERDELIN lettering and its next logo at 6 o’clock, small second hand is running on a black subdial with green 15-30-45-60 markers. 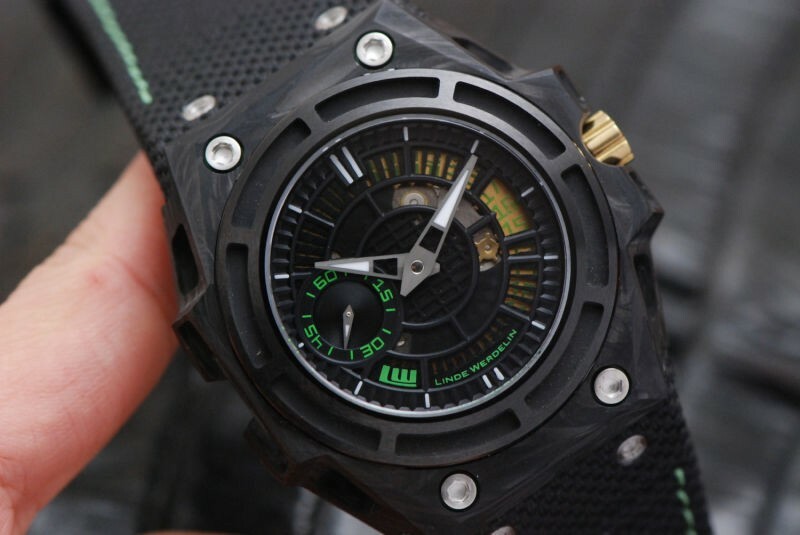 Green Arabic numbers on date wheel are displayed through the top skeletonized sheet. 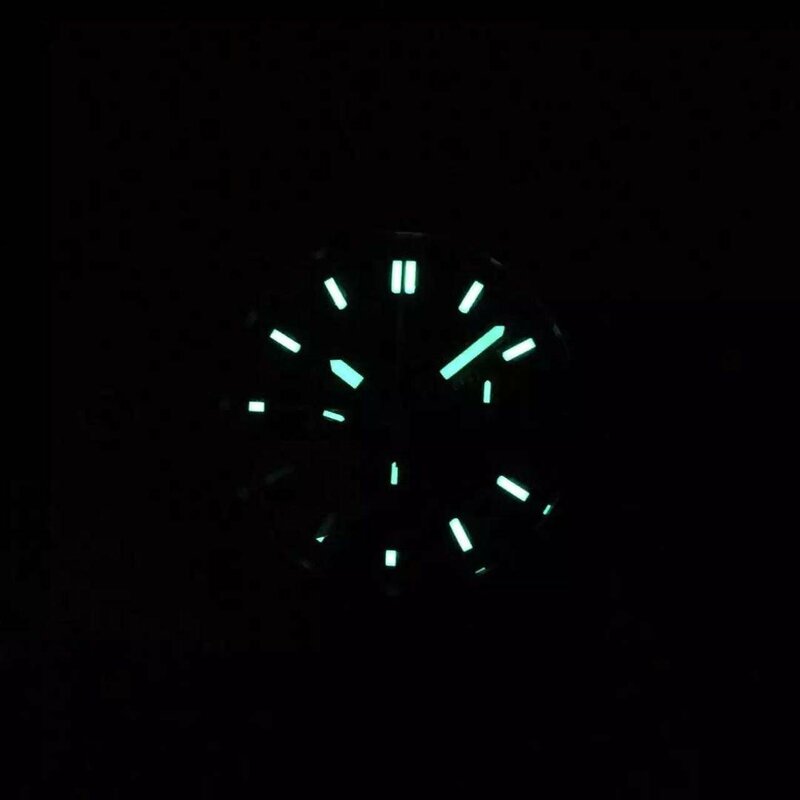 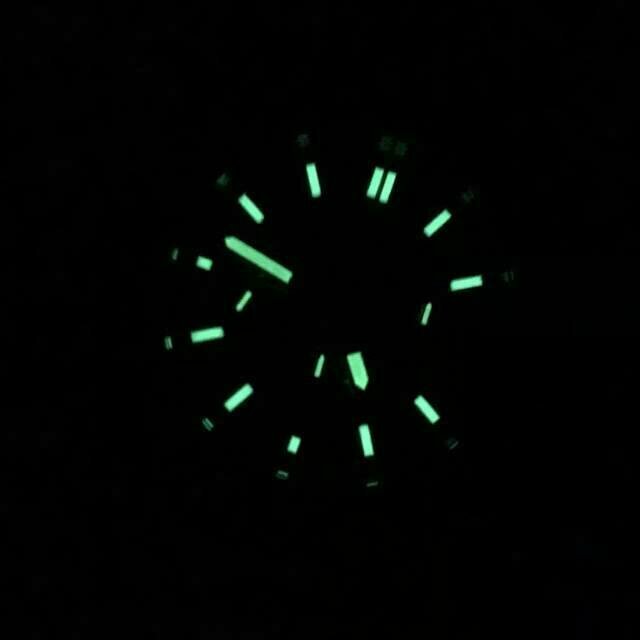 Steel hour and minute hands as well as small second hand are all applied with white luminous material, so do hour markers, so the whole dial will give you a strong light blue lume in dark place. 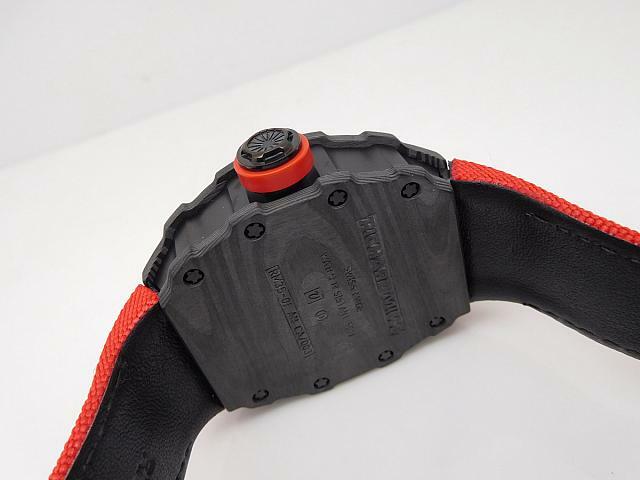 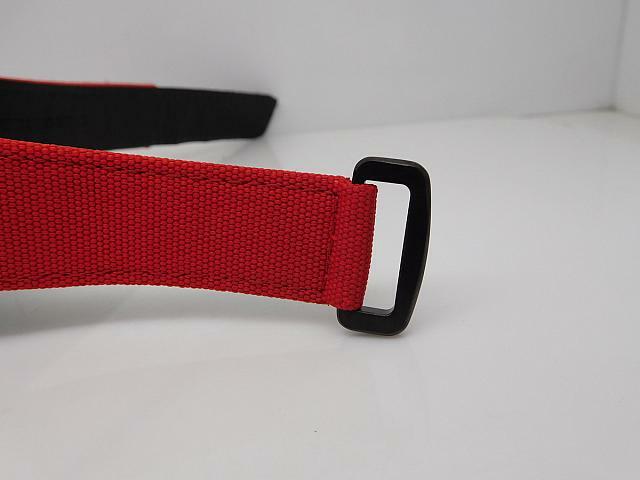 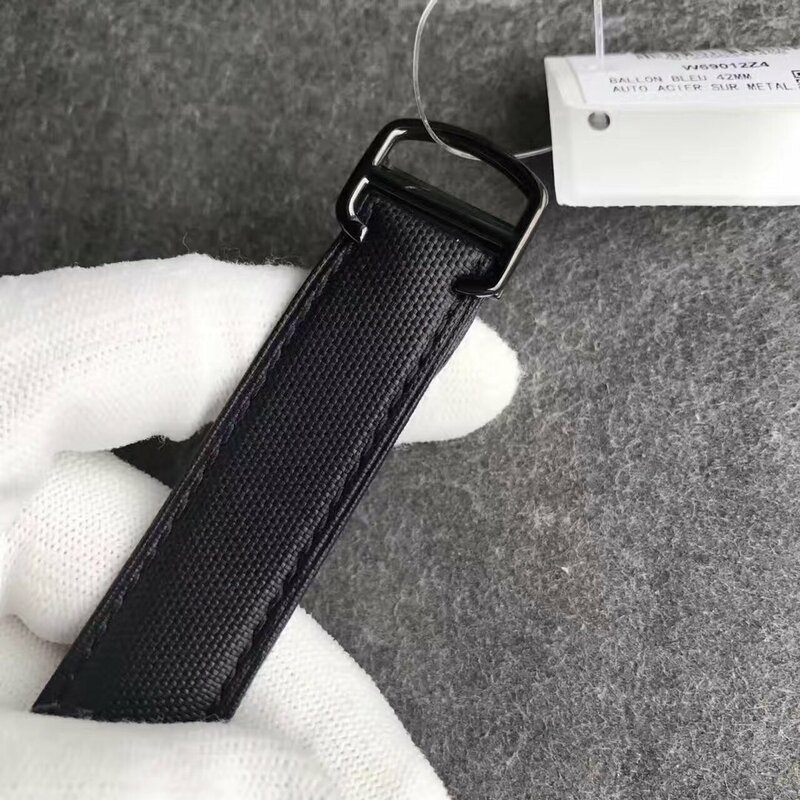 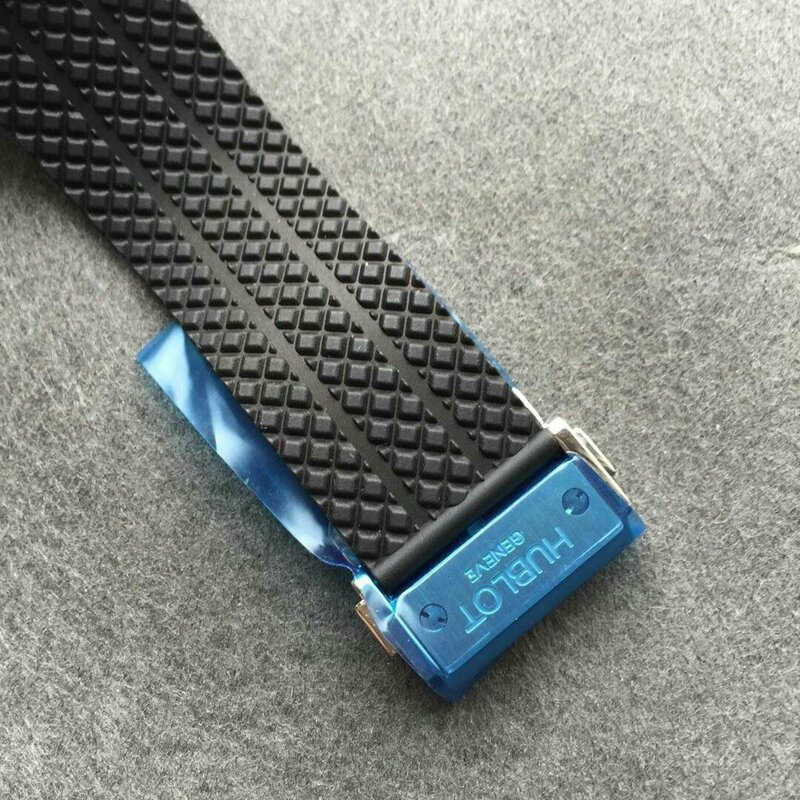 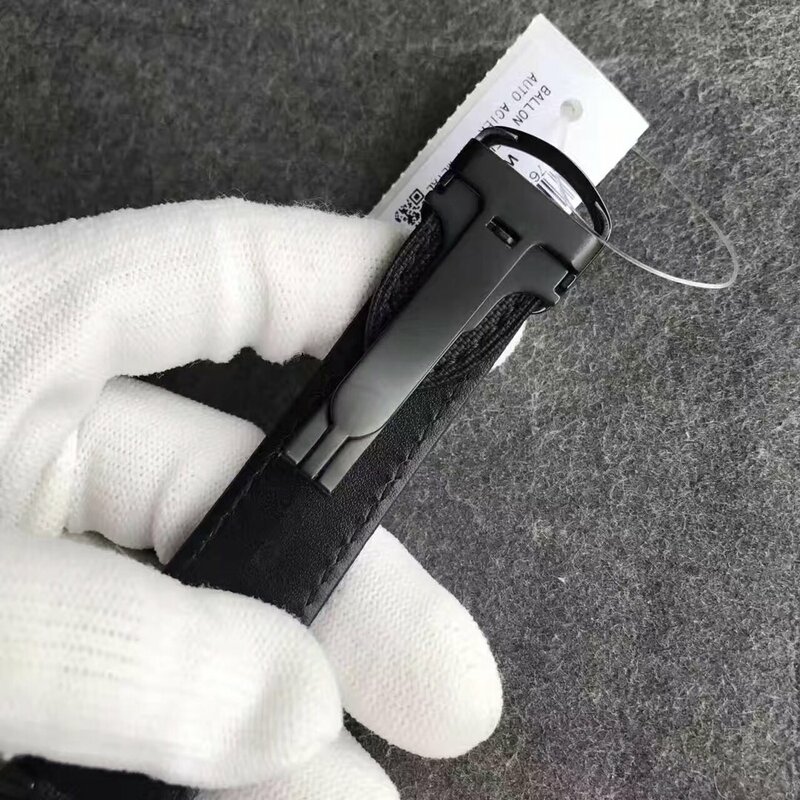 About the strap, it has two tiers, the front side is black nylon and the inside tier is black leather. 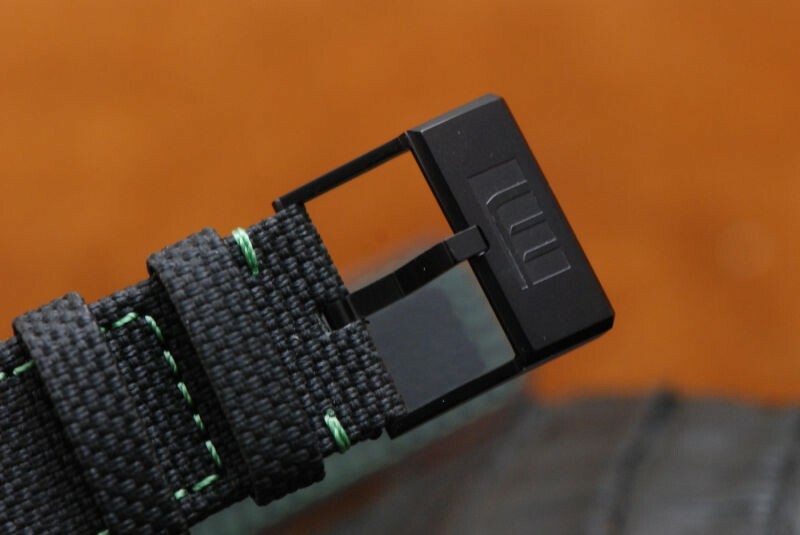 Two straps are with hand stitching in green that just perfectly fits its green dial details. 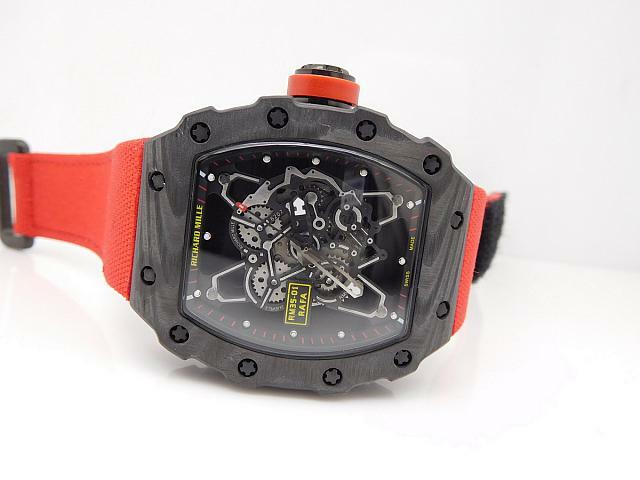 Through the transparent crystal case back, you can see the replica Linde Werdelin watch is equipped with an Asian clone 7750 automatic movement, which has completely modified movement plates and rotor compared with other versions of clone 7750 movement. 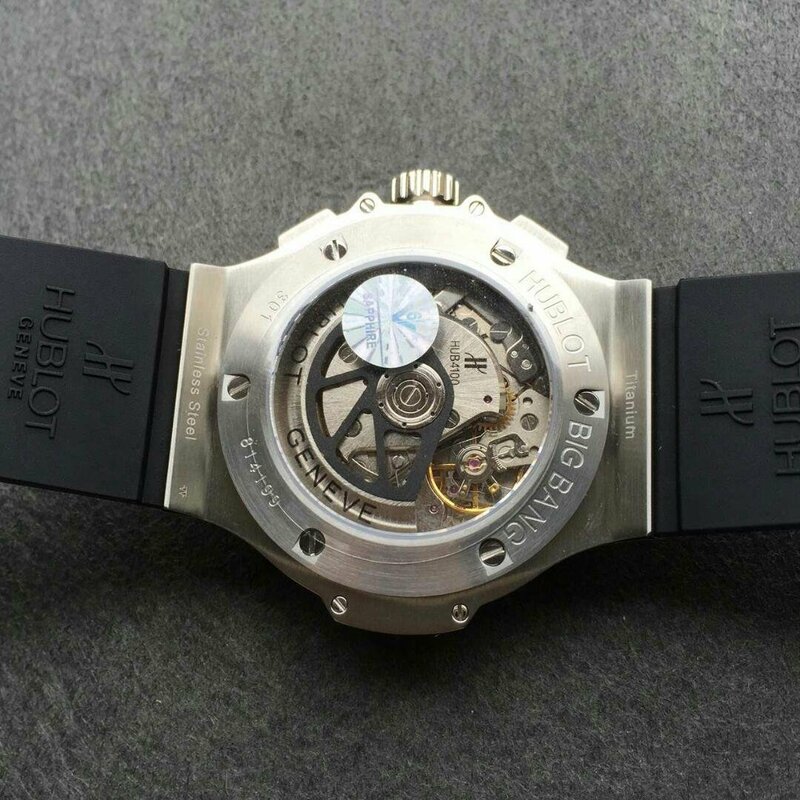 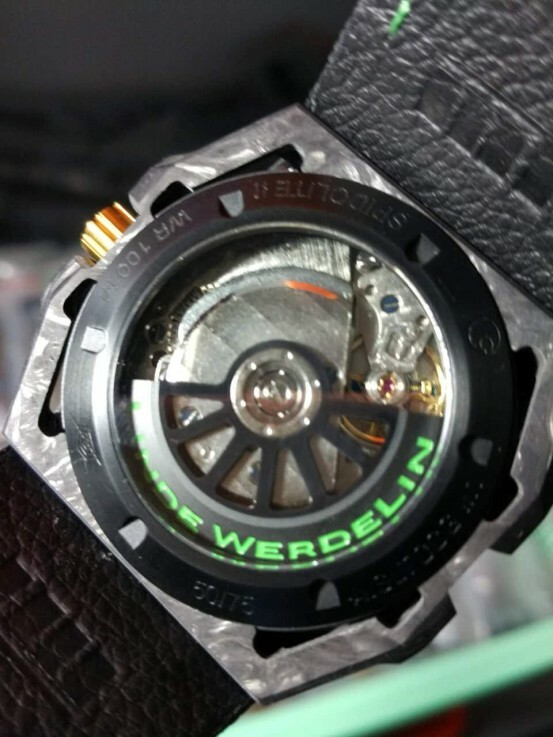 Skeletonized auto rotor has green letters “LINDE WERDELIN”, it seems the factory added several plates on the original movement to make it closer to genuine. 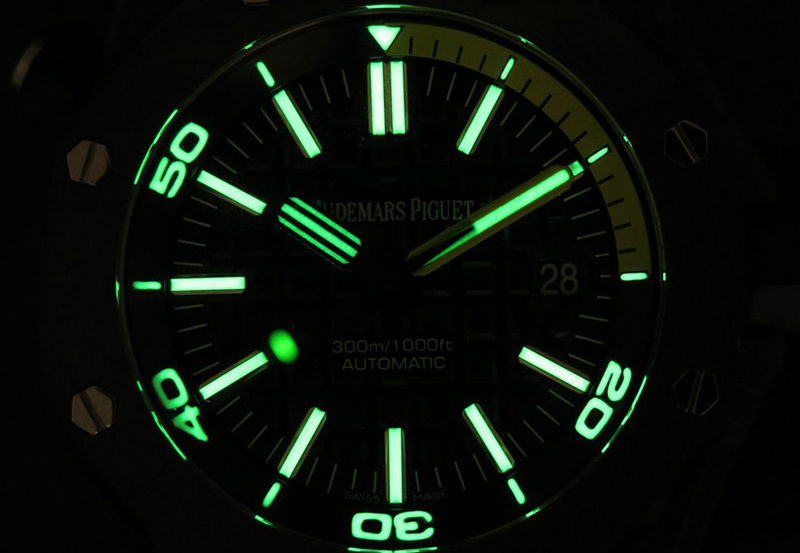 Overall, this green watch will give you a tough and reliable feeling, it will be your trusted timing tool in harsh environment. 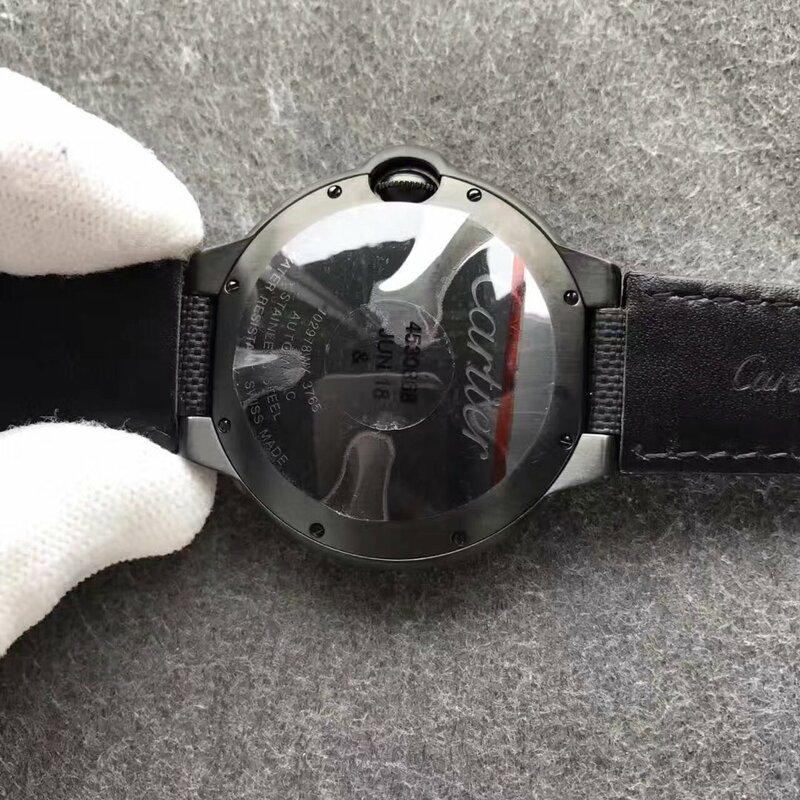 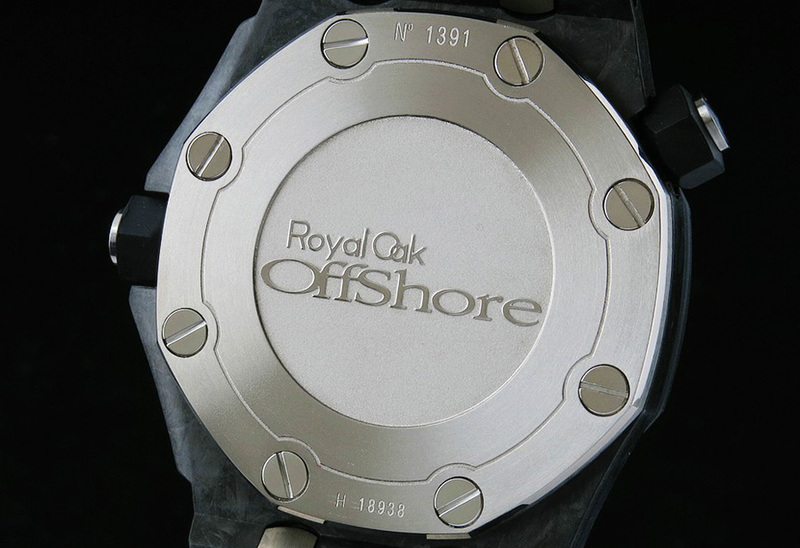 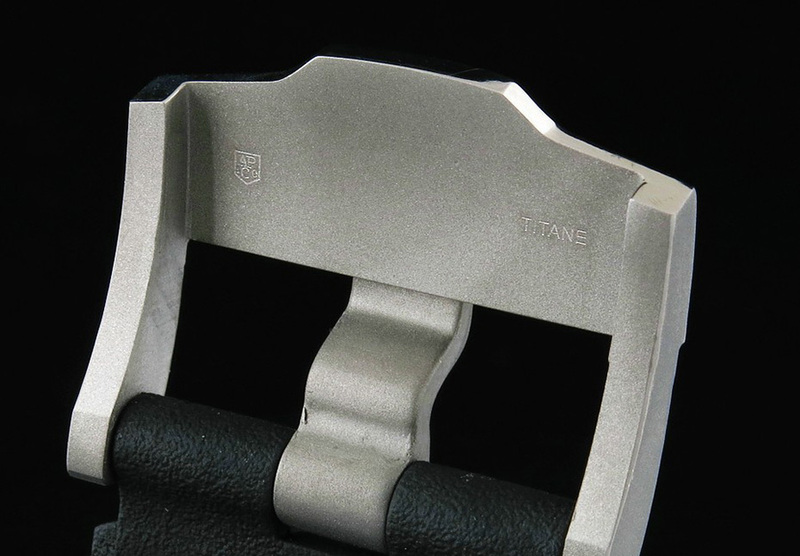 The replica will be a good try for those who want a watch with a bit technology sense.